On this cold, windy Saturday morning, I left the house without much of a game plan. I wandered around, hitting several spots in southern Orange County before ending up at the Bashakill Wildlife Management Area. 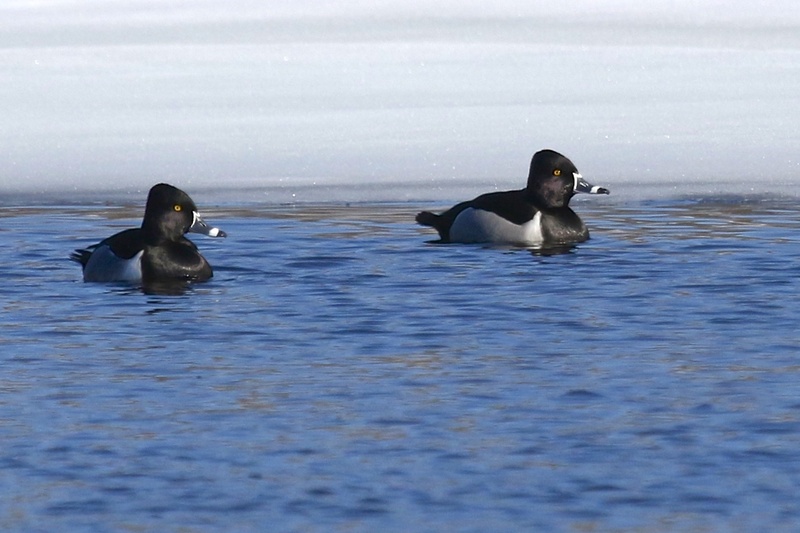 GLENMERE LAKE: Highlights included 42 Ring-necked Ducks and 4 Common Mergansers. 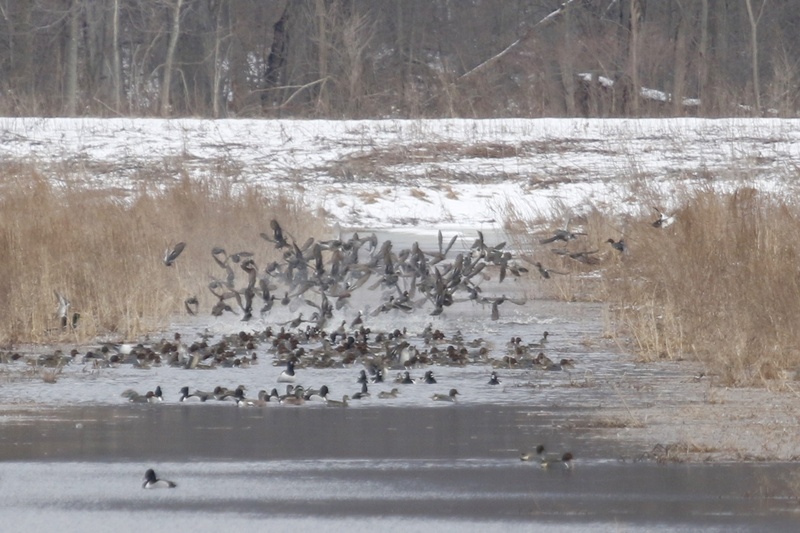 SCHERVIER PAVILLION, WARWICK: 10 Hooded Mergansers, 2 Common Mergansers, Canada Geese, and Mallards. SANFORDVILLE ROAD, WARWICK NY: 1 American Kestrel and 2 Red-tailed Hawks (including the one pictured below with some super markings). 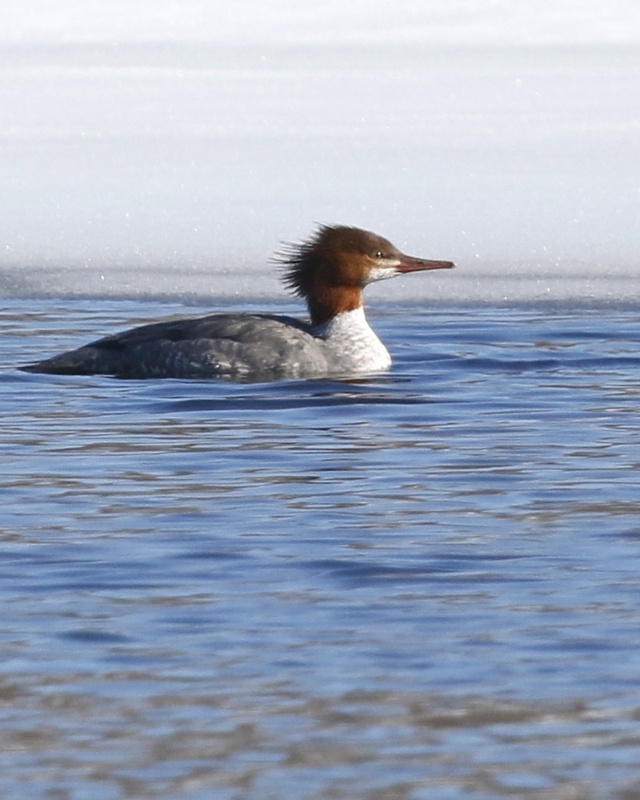 LAUREL GROVE CEMETERY, PORT JERVIS NY: Highlights included 4 Red-breasted Mergansers, 2 Common Goldeneyes, and over 40 Tree Swallows, my first ones of the year! Other highlights included 9 (!) 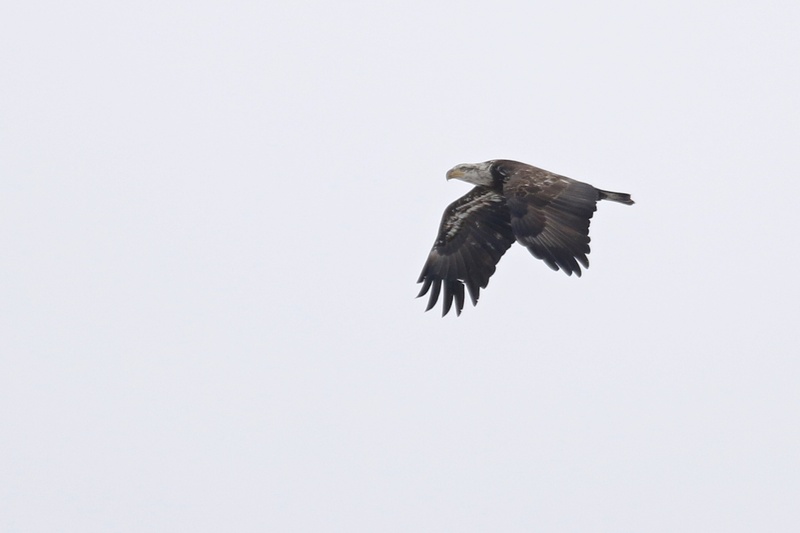 Bald Eagles including one cooperative one that seemed to be playing while flying above Haven Road. 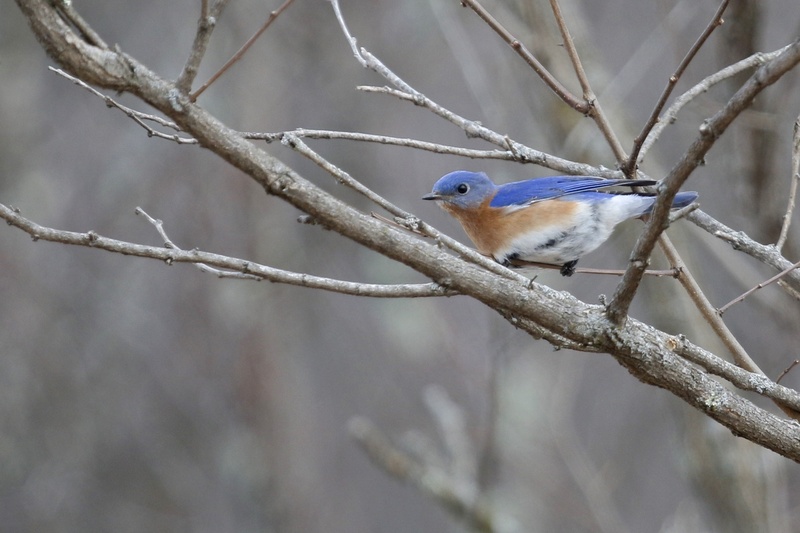 And I also had 4 Tree Swallows and I able to get a decent photo of an Eastern Bluebird. After work today, I decided to go for the the Red Crossbills that John Haas had located at the Neversink Reservoir earlier in the day (see John’s post HERE). Karen Miller and Lance Verderame were also out looking for the crossbills, but unfortunately the three of us came up empty-handed. Fortunately for me, I had quite a sweet consolation prize. 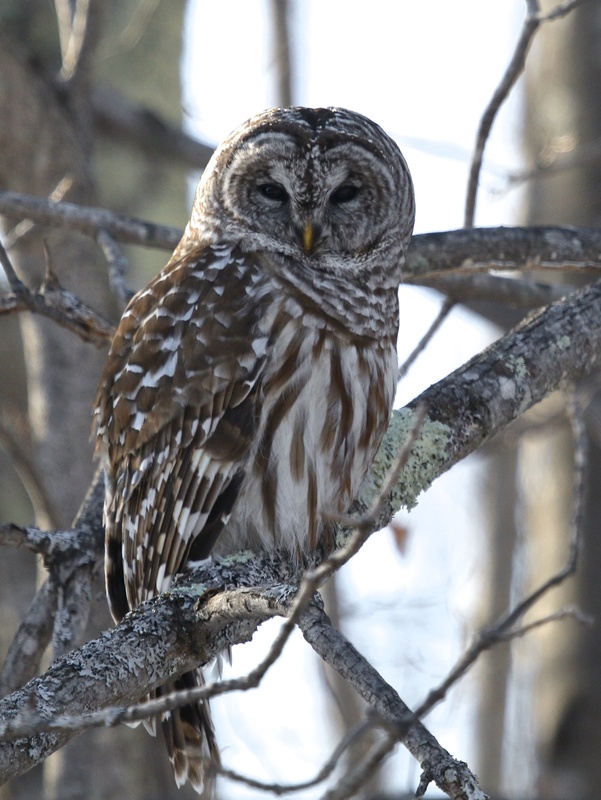 On my way out to the reservoir, not long after getting off Route 17, I found a Barred Owl perched on the side of the road! So lucky! Later, after trying for the crossbills I took Karen back to the spot where I had seen the owl – it would be a life bird for her. 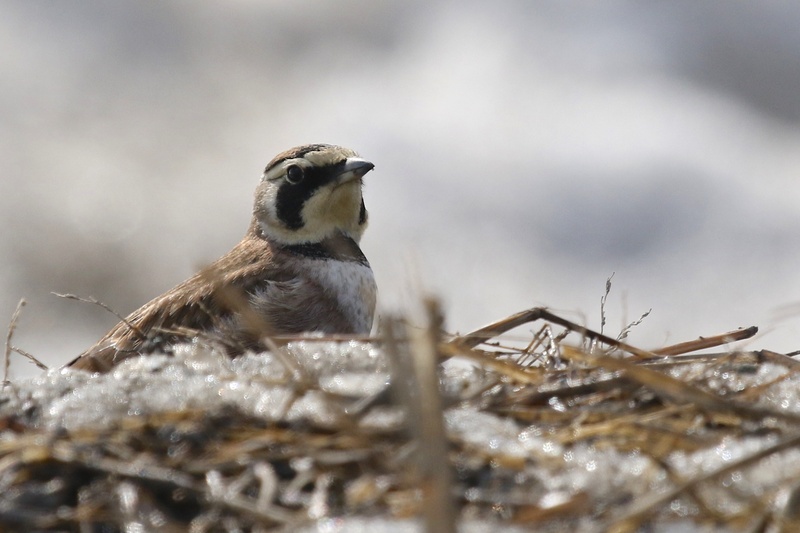 The bird was no longer present; we scanned the surrounding area for a little while and then I got back in the car to head home. A few minutes later, Karen called – she had the bird! It was perched on a wire just up the road from where I had seen it; I must have driven right under it! Thinking back, I realized that once I started for home, I had immediately begun scanning the radio for the Pittsburgh Penguins game, so I wasn’t looking up! I went back to see the bird for a second time, but unfortunately a Good Samaritan with a bad muffler on his car had stopped to see if Karen needed help and doing so flushed the bird. Oh, and I also had an additional consolation prize – my first Red-breasted Nuthatch in over a year! 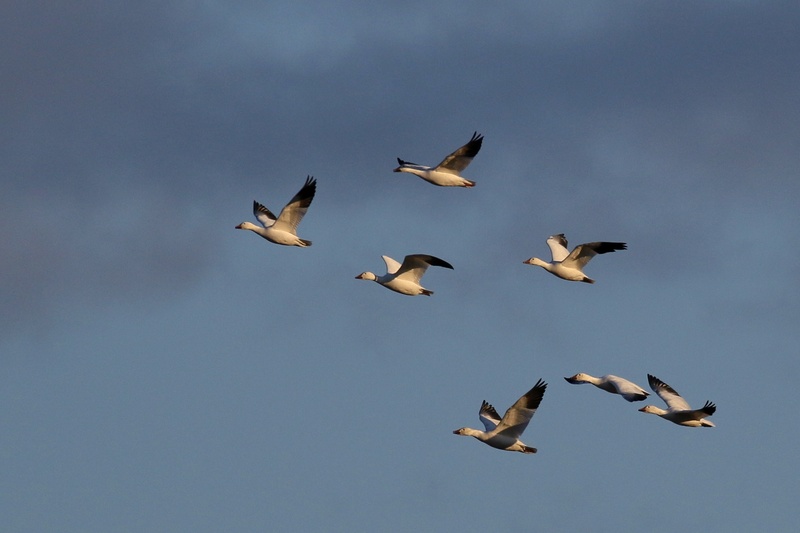 …And the day ended with nearly 1500 Snow Geese at Skinner Lane. I made a stop at Scenic Farms Golf Course, sifted through a couple thousand Canada Geese (and came up empty-handed), and then saw a distant Coyote hunting in the field across the street from the golf course. 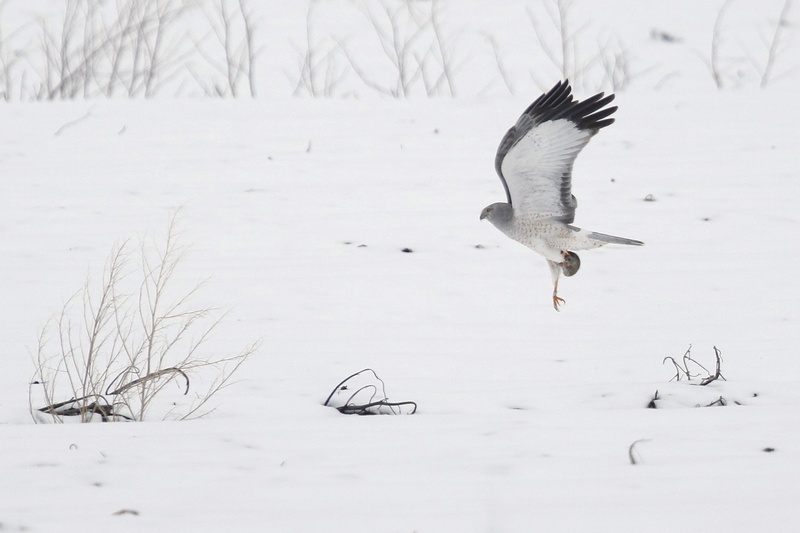 We also did well with raptors, with the highlight (for me) being a very active Peregrine Falcon that spent the entire time we were there terrorizing the waterfowl. 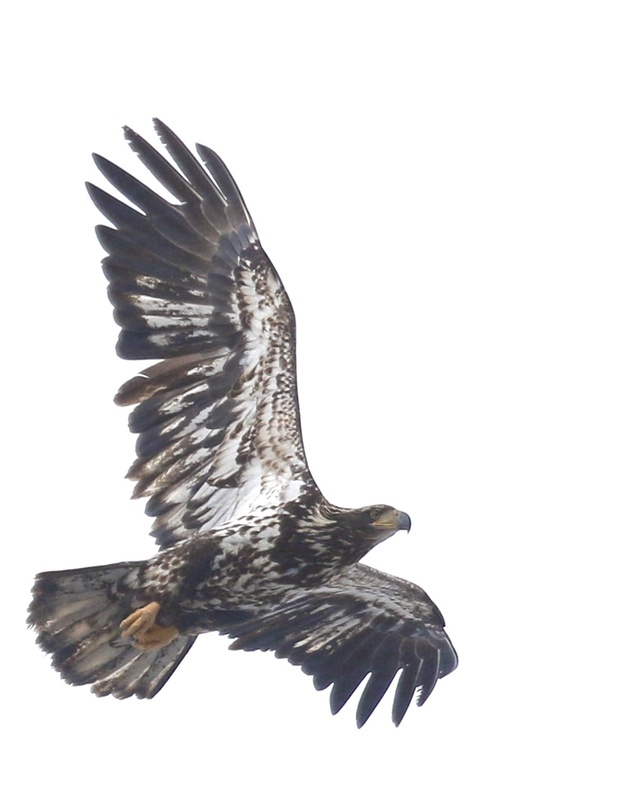 I’m not sure, but I think the highlight for Kyle was the three (possibly 4) Bald Eagles that we had. 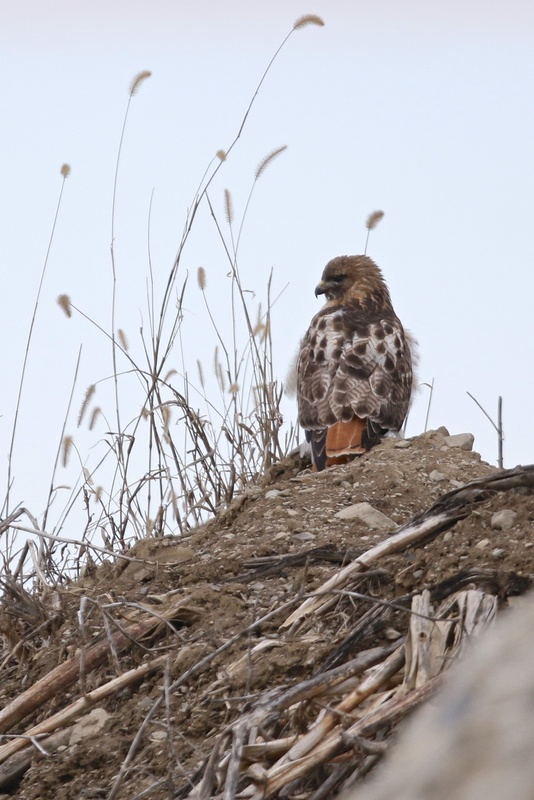 In all, we had seven species of raptors: Turkey Vulture, Black Vulture, Bald Eagle, Northern Harrier, Red Tailed Hawk, American Kestrel, and Peregrine Falcon. 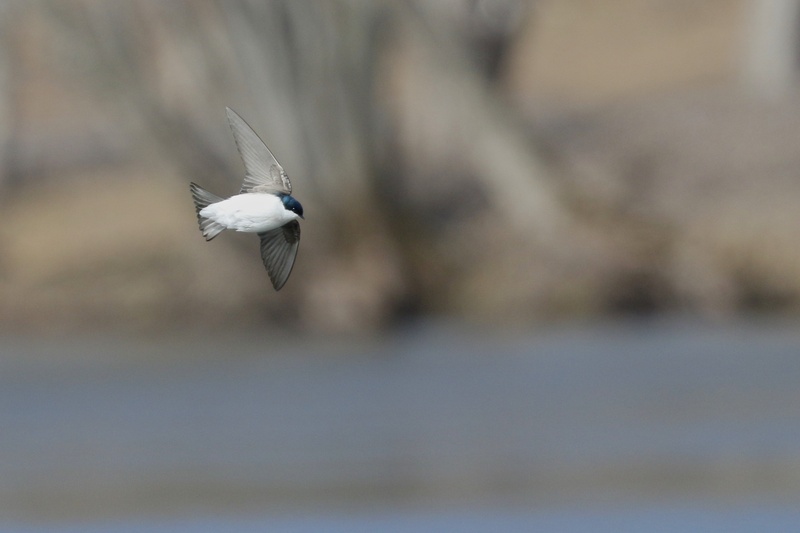 Wow, what a day, filled with exciting birds. 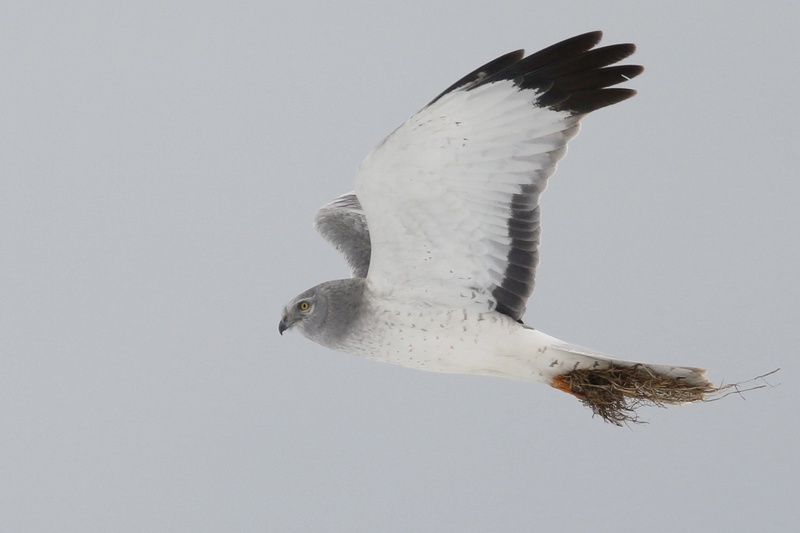 Super Birding In Orange County! 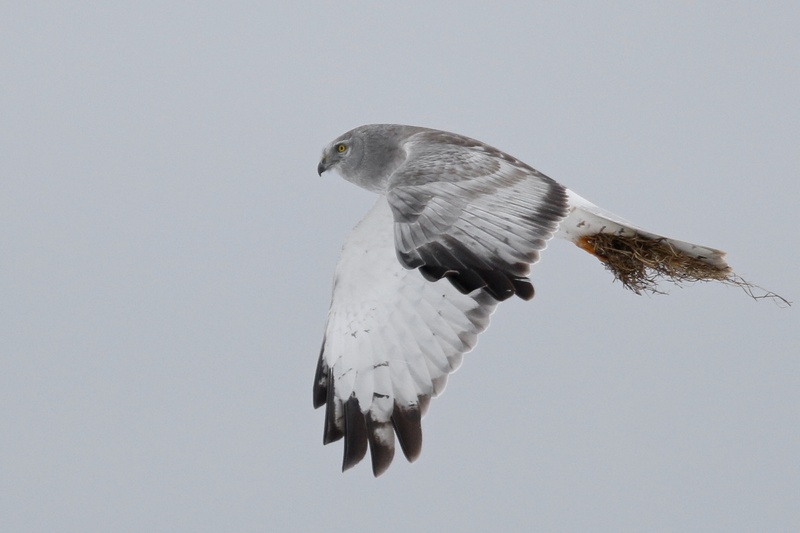 Wow, what a day of birding in Orange County today. I, of course, was at work and missed most of it! 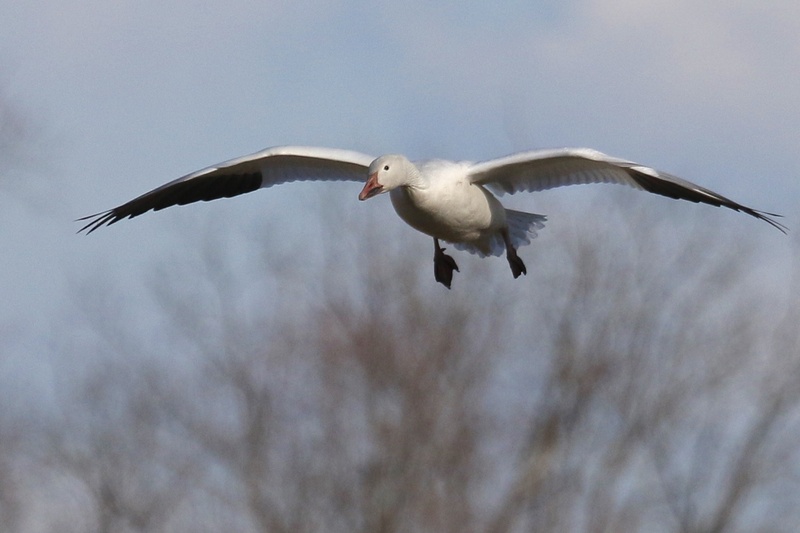 The action started early when I received a text from Karen Miller 7:30 this morning saying that while she did not relocate the Snow Geese from last night, she did have (8) likely TUNDRA SWANS at the Camel Farm. 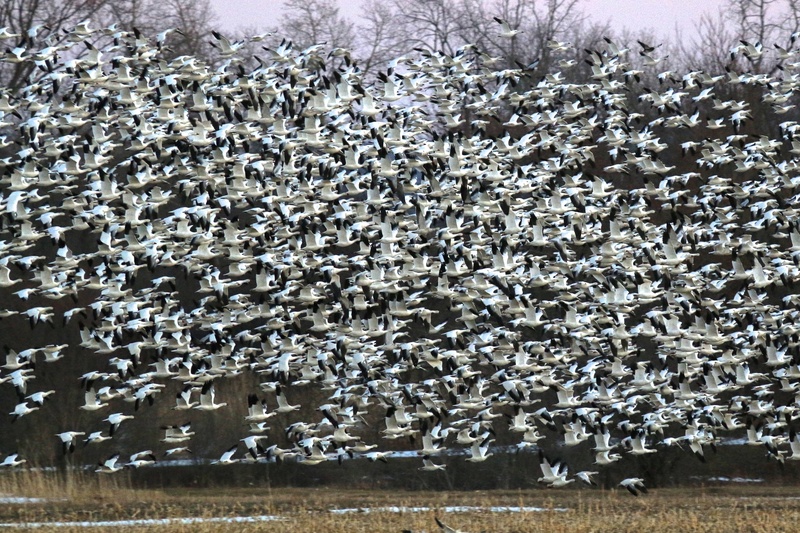 An hour later Linda Scrima texted that the Snow Geese had just come in and landed in the fields off of Onion Avenue. 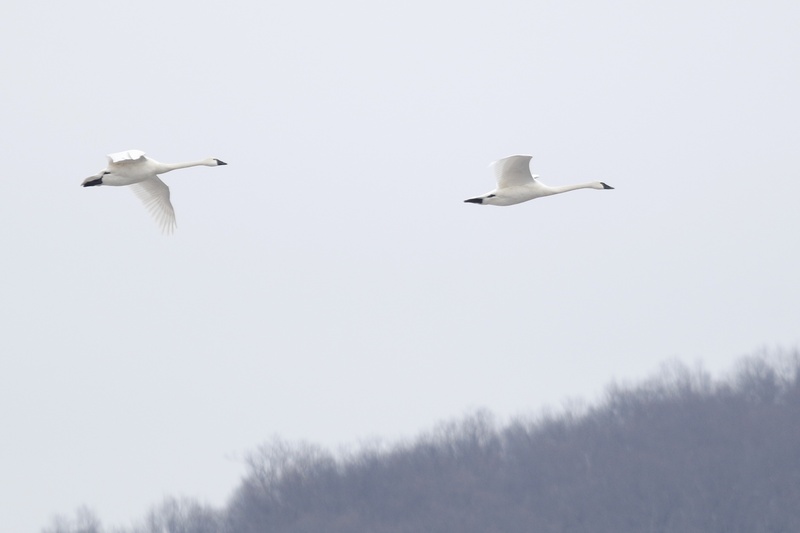 She also sent over a photo confirming the Tundra Swans. 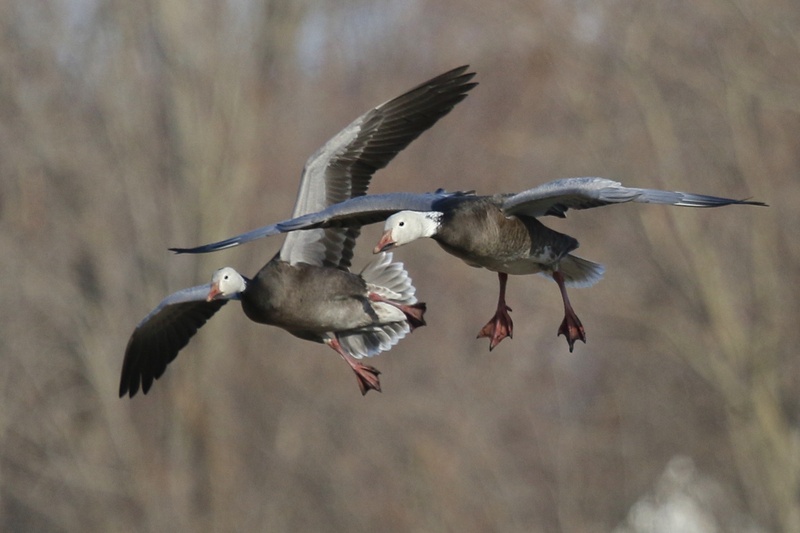 A couple of hours later, John Haas and Rob Stone were on the scene and located not one, but 2 ROSS’ GEESE! And one of them was a blue morph! Check out John’s blog for his account. And not too long after that, I checked my email to see that Rob Stone had located a GREATER WHITE-FRONTED GOOSE at Scenic Farms Golf Course! Are you kidding me??? I was losing my mind at work and when I finally got out my first stop was at the golf course to go for the GWFG. 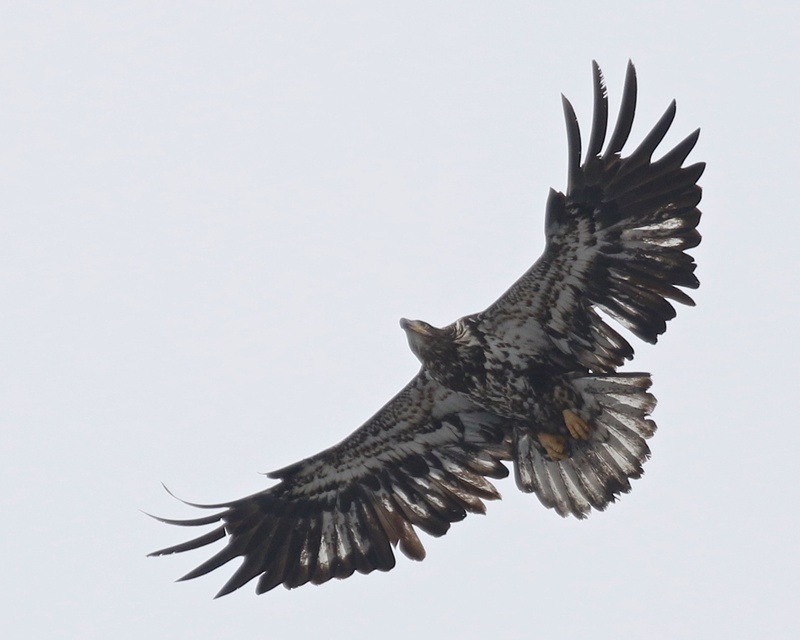 I met Bruce Nott and Dave Baker over there, and thanks to them I was able to see the bird pretty quickly. Unfortunately it was miles out, so no photos. My next stop was the Camel Farm, where Dave and I had no luck with the swans. Next was Onion Avenue, where I spent most of the rest of the evening trying for the 2 Ross’ Geese with some great company like Ken McDermott, Marianne Ofenloch, and Scotty Baldinger. Unfortunately, we never located either bird. My last ditch effort was to join Bruce to check the Camel Farm one more time… and I got lucky and the 8 Tundra Swans were there! Karen Miller joined us for a better look than she had gotten in the morning. I took some distant photos and enjoyed seeing them through my scope. What a day – incredible really! 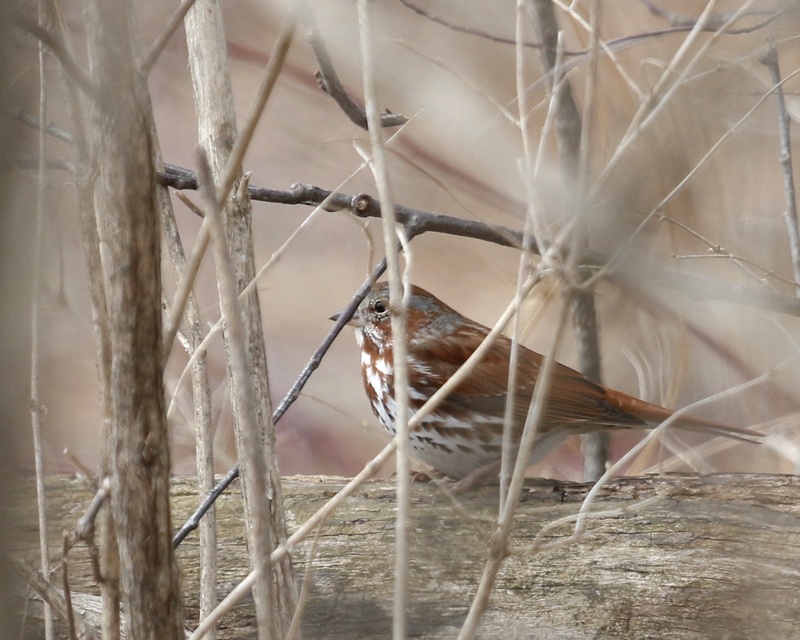 Author mattzeitPosted on March 18, 2015 March 22, 2015 Categories Orange County, Rarities4 Comments on Super Birding In Orange County! Last night I was at the Liberty Loop viewing platform just before sunset. 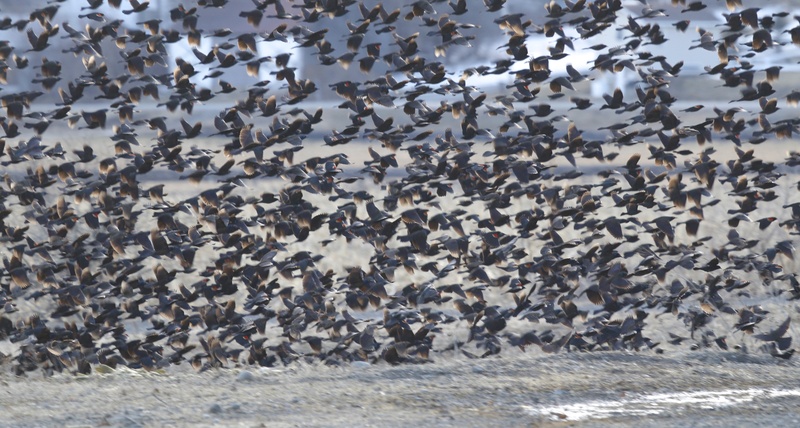 There was much bird movement, particularly waterfowl. 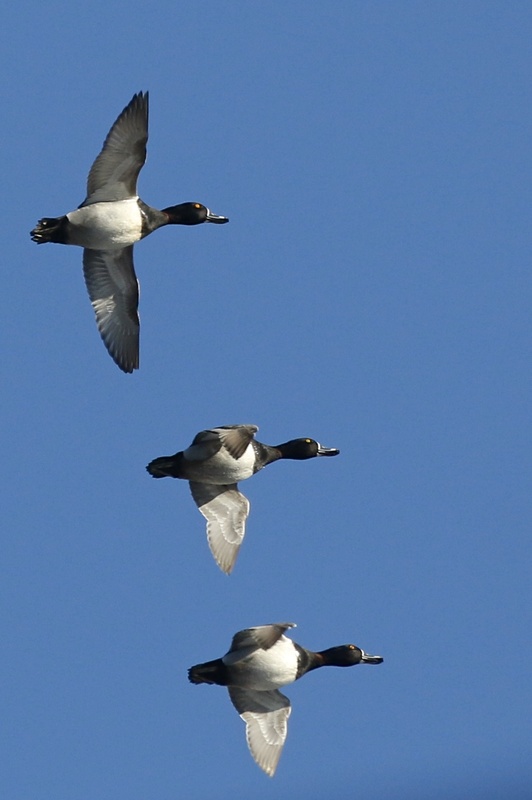 Many Canada Geese were flying over, from south to north. 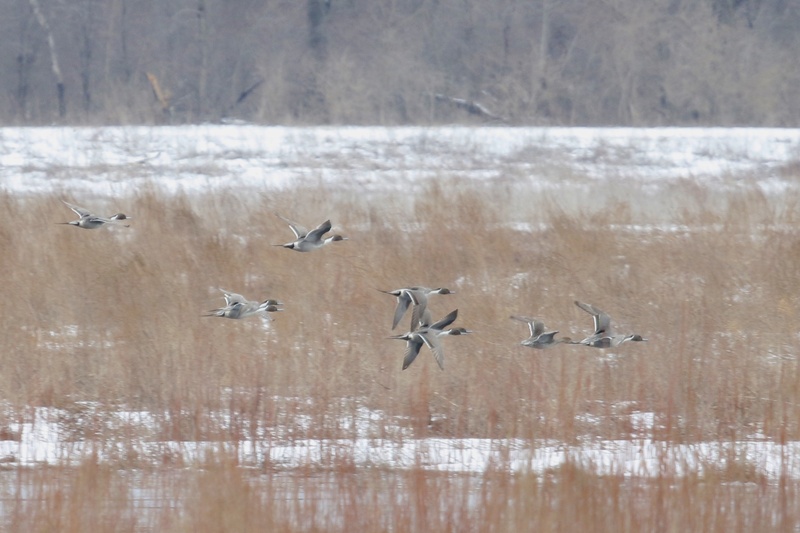 Mallards were circling around the reserve and Northern Pintails were doing the same. 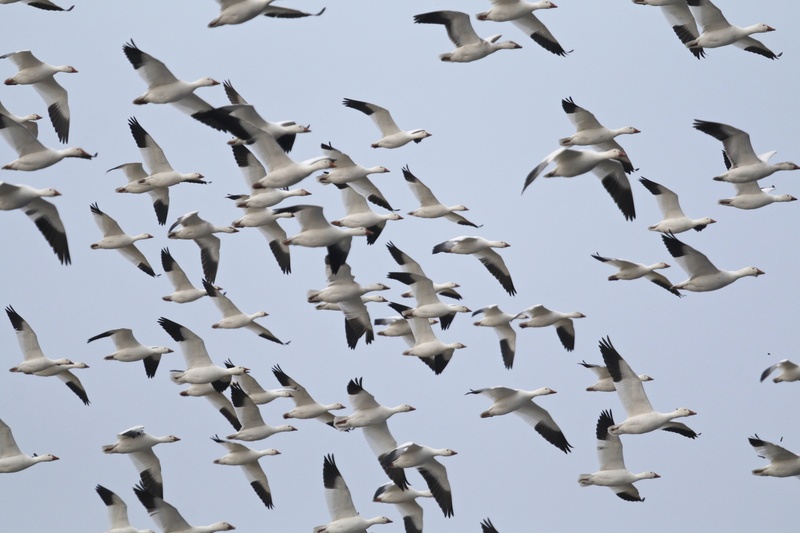 The highlight, however was a single skein of maybe 150 Snow Geese that flew over very high and pretty well east of the viewing platform. So today after work, I was on a goose chase. 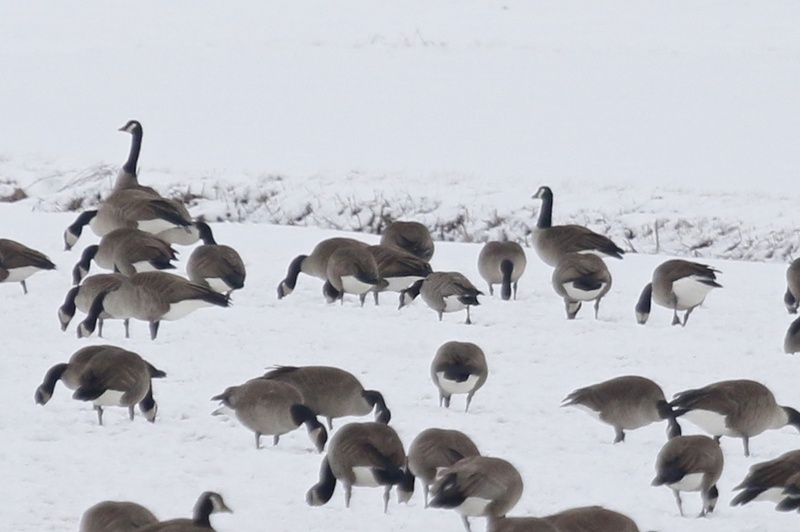 I found fewer Canada Geese than I would have expected, but numbers were certainly up with Canadas being seen at Scenic Farms Golf Course, the Camel Farm, Turtle Bay Road, Pierce Circle and Onion Avenue. 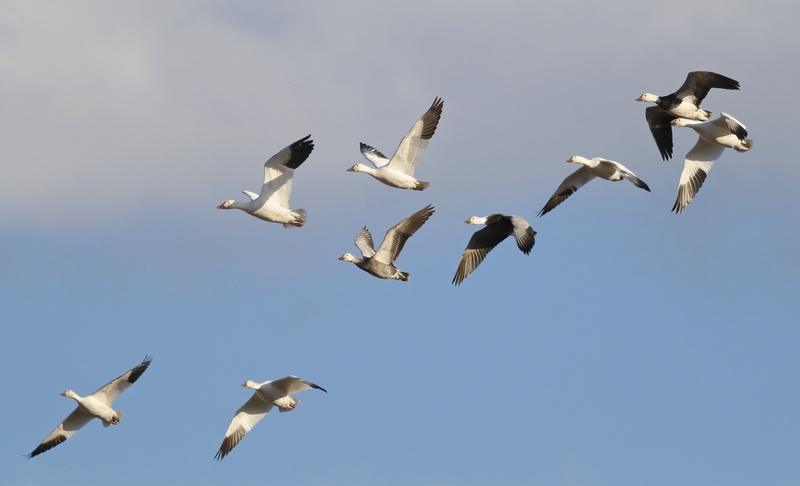 Also in the fields between Pierce Circle and Onion Avenue, there was approximately 150 Snow Geese! I was very excited and took some distant photos from Pierce Circle. I moved to Onion Avenue for a closer and better look. 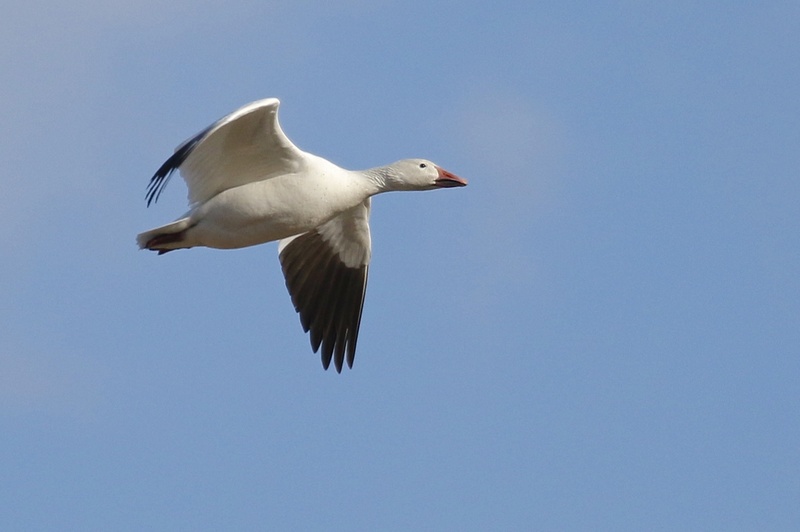 And more Snow Geese started to arrive from the south. They were putting on quite a show, picking up, circling and then landing over and over. I had put the word out and Linda Scrima and Maria Loukeris both joined me as the number of SNGOs continued to grow. By the time we left at 7:15, I approximate there were 1500 Snow Geese present. They seemed to be settling down a bit too, so hopefully they will stick around for a little while. 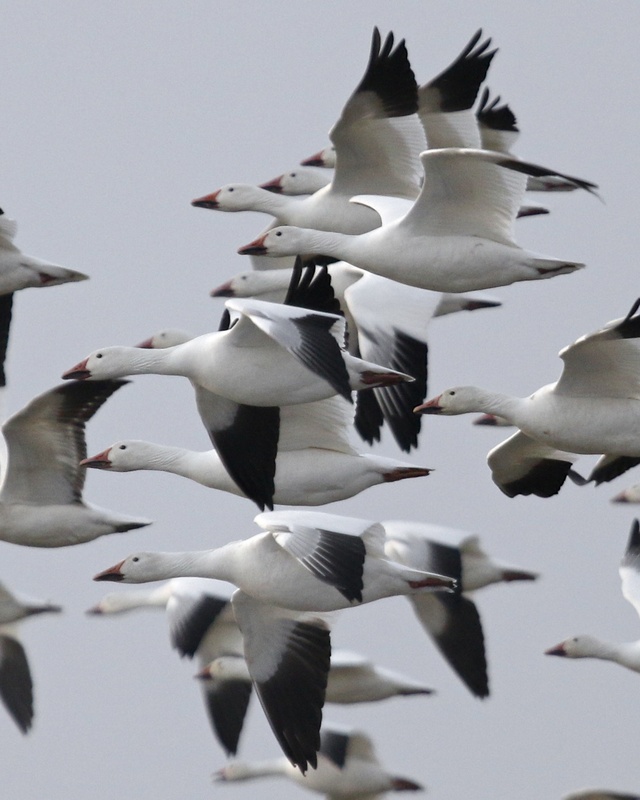 Author mattzeitPosted on March 17, 2015 March 17, 2015 Categories Black Dirt, Orange County, Swimming Waterbirds6 Comments on SNOW GEESE! 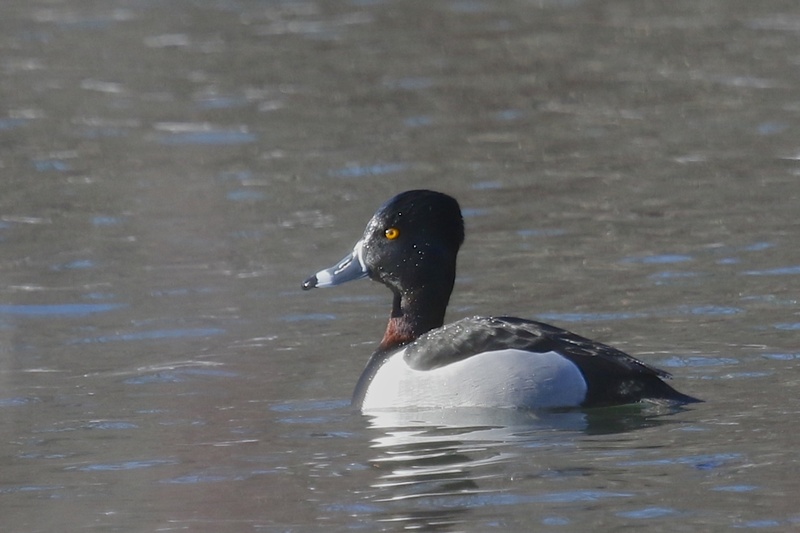 Glenmere Lake 3/11/15: Ring-necked Duck (3), Common Merganser (2), and Mute Swan (2). Warwick Town Hall 3/11/15: Canada Goose (35), Mallard (8), Gadwall (5), Ring-necked Duck (25), Hooded Merganser (2), Common Merganser (2), and American Coot (1, FOY). 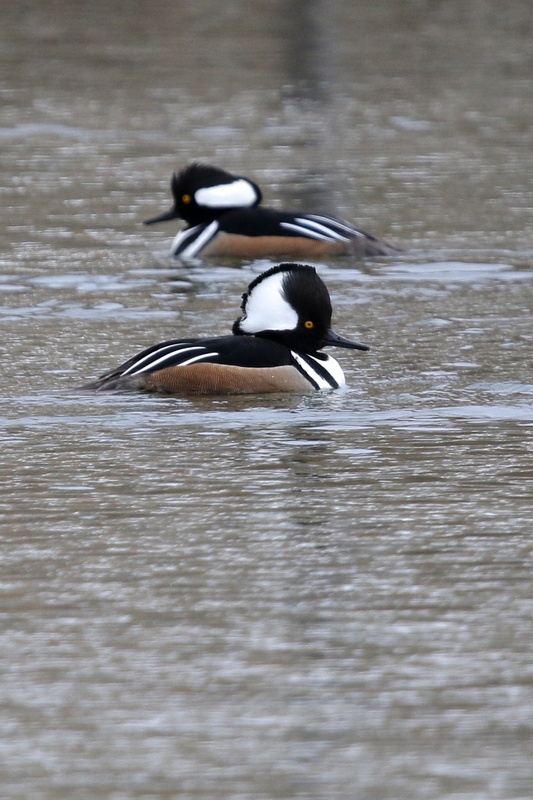 Schervier Pavilion 3/11/15: Hooded Merganser (2). 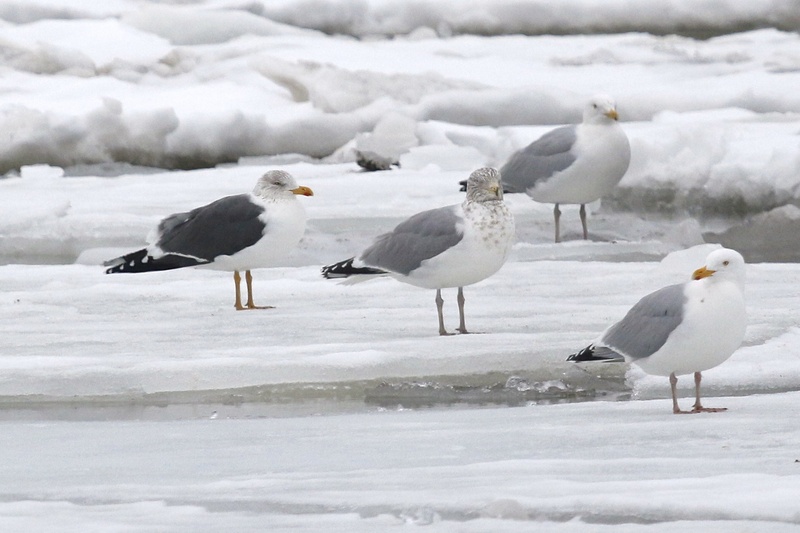 Newburgh Waterfront 3/12/15: Canada Goose (4), Mallard (25), Common Merganser (3), Red-breasted Merganser (1), Pied-billed Grebe (1, FOY), Great Cormorant (1). 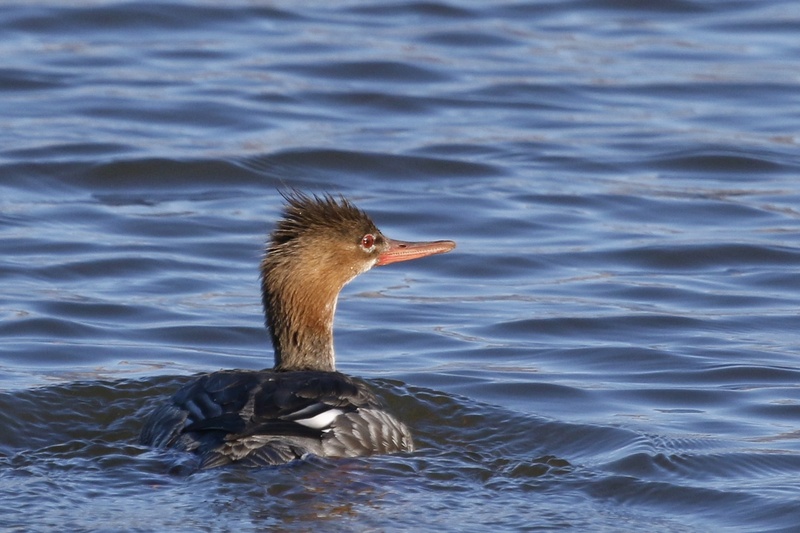 As my work day was coming to an end, I received two separate reports for Red-breasted Mergansers on the Hudson near Newburgh, NY. One was a text from Rob Stone, the second a call from Bruce Nott. I headed in that direction in hopes of getting a RBME for Orange County for the year. From Plum Point Park I had some distant waterfowl where the water was open, but the heat waves were distorting the image in my scope way too much to confidently ID the birds. 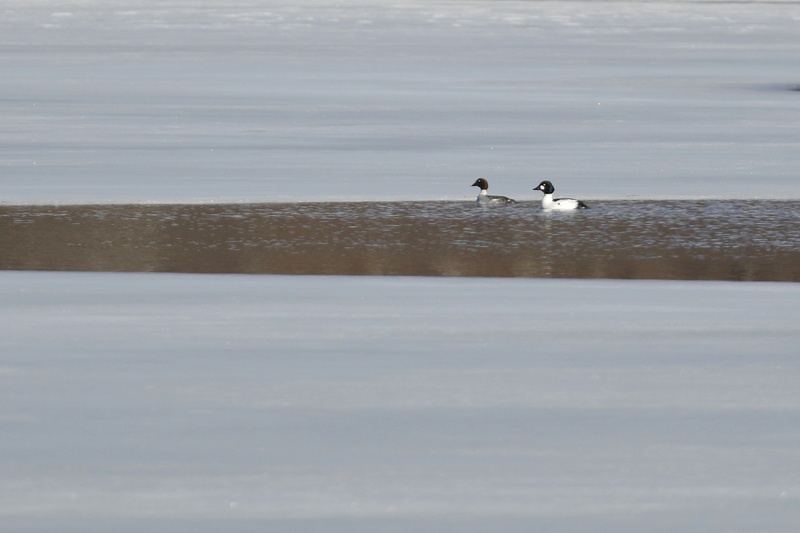 From what I could tell, they were likely Common Mergansers. QUICK POST: It’s not much, but it’s a start. 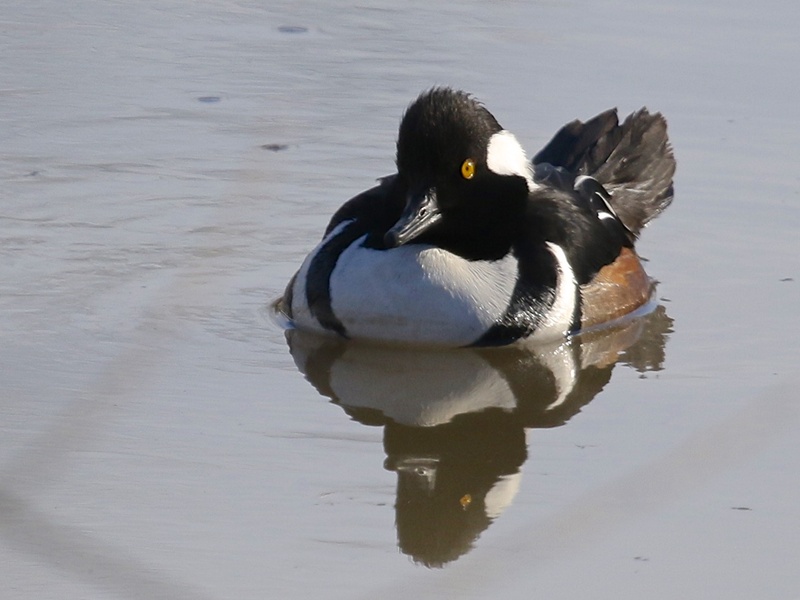 I stopped by Glenmere Lake after work today and I was pleased to find two Ring-necked Ducks (first of the year for me) and one Common Merganser in one of the thawed areas in the lake. Afterwards, I made my way over to the Liberty Loop viewing platform. Kyle Dudgeon was there already, Linda Scrima and Maria Loukeris showed up not too long after I arrived. 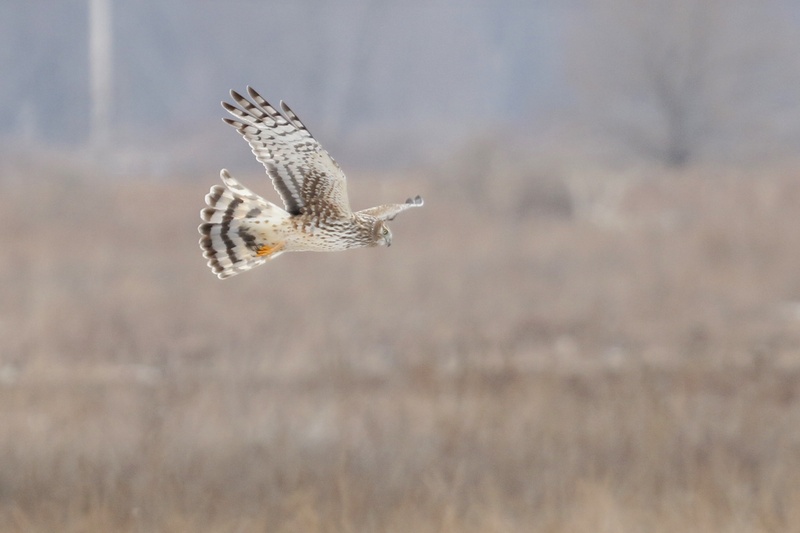 It was nice to be out in the warmer temperatures, and we enjoyed watching a male American Kestrel hunting. 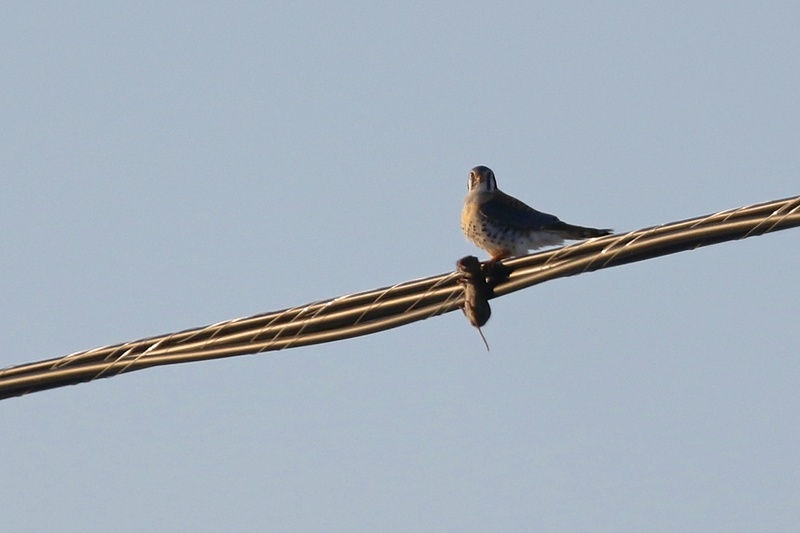 The bird went two for two, successfully catching (and then eating) what I assume were voles on his first two attempts. 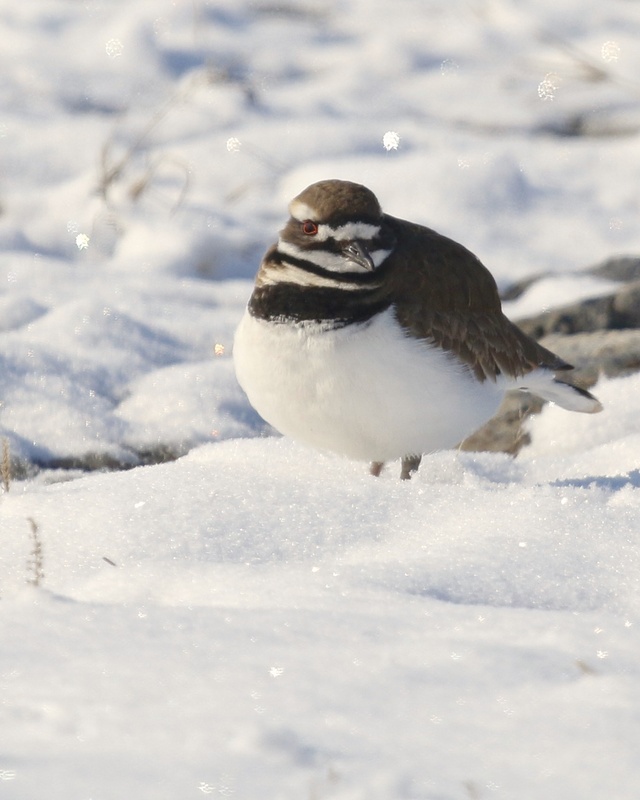 Also of note, we heard my first Orange County Killdeer of the year. 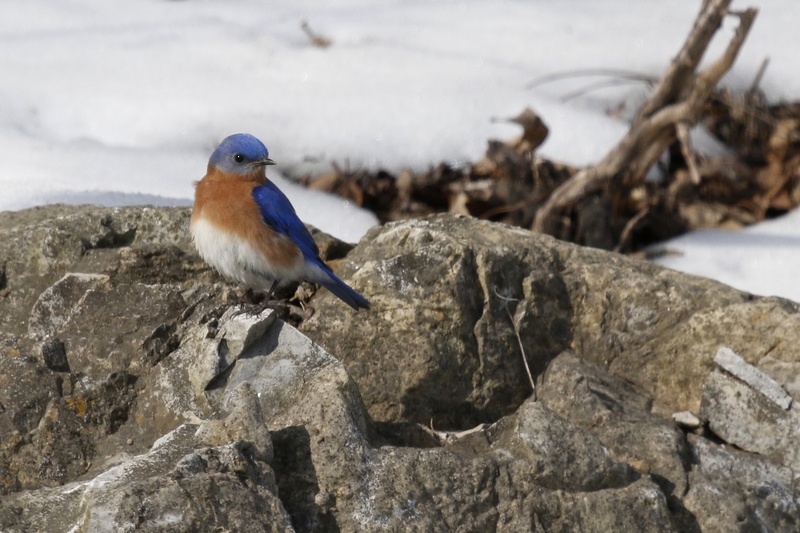 To be honest, I was feeling pretty uninspired about my birding for this weekend. 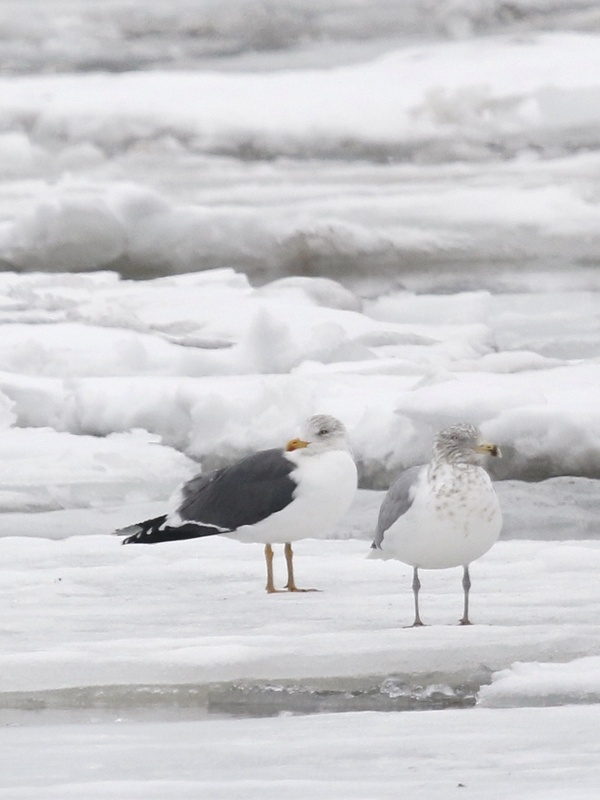 I think I might just be tired of winter birding and ready for spring migration to get into full swing. It will be nice to get out of the car and back onto the trails, which is certainly my preferred type of birding. That being said, I did get out quite a bit. 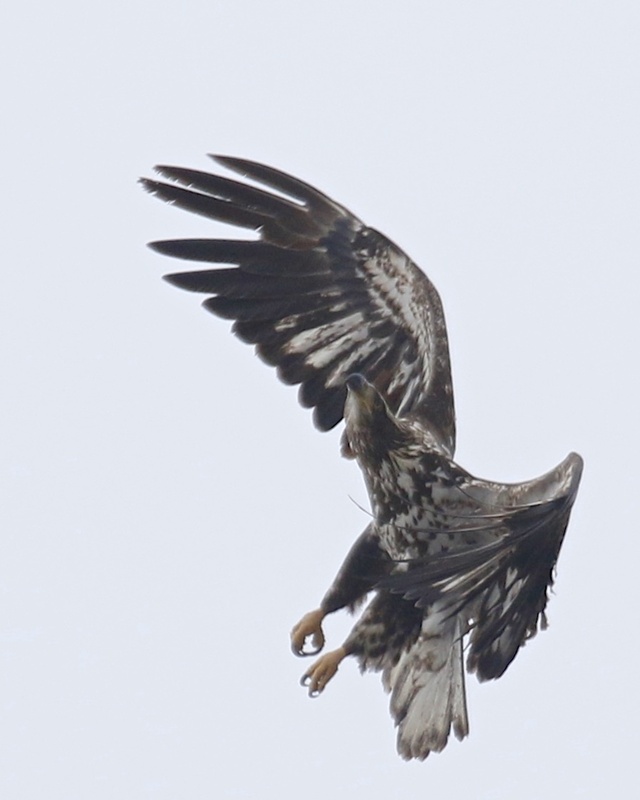 On Saturday morning I went up to Ulster County to try for the Gyrfalcon but came up empty. The highlight of the morning was running into and catching up with fellow birder/photog/nice guy Eddie Rodriguez, who I had not seen in ages. In the afternoon, Tricia and I stopped by Piermont Pier on our way to my Aunt Judy’s 75th birthday party in the Bronx. 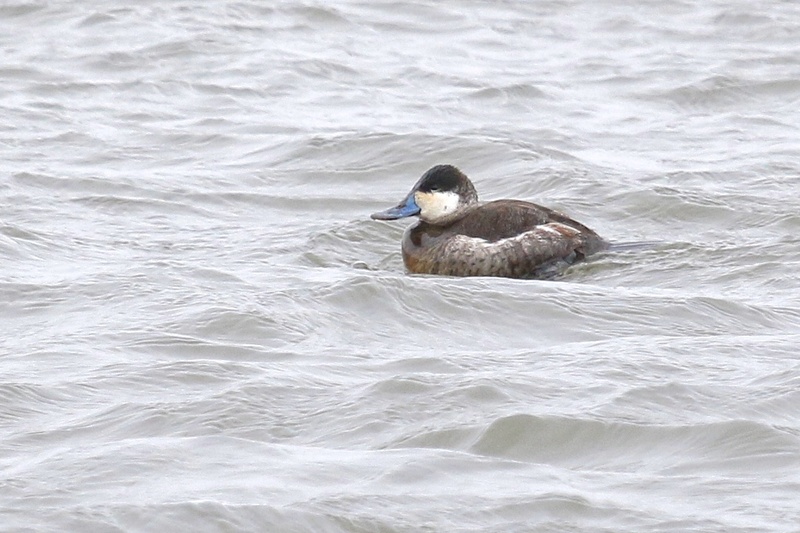 I picked up two year birds – Greater Scaup and White-winged Scoter, but the highlight of the stop was getting photos of a male Ruddy Duck with some blue on his bill. I’m not really sure how it works, but I imagine that this bird is just starting to show his breeding colors. 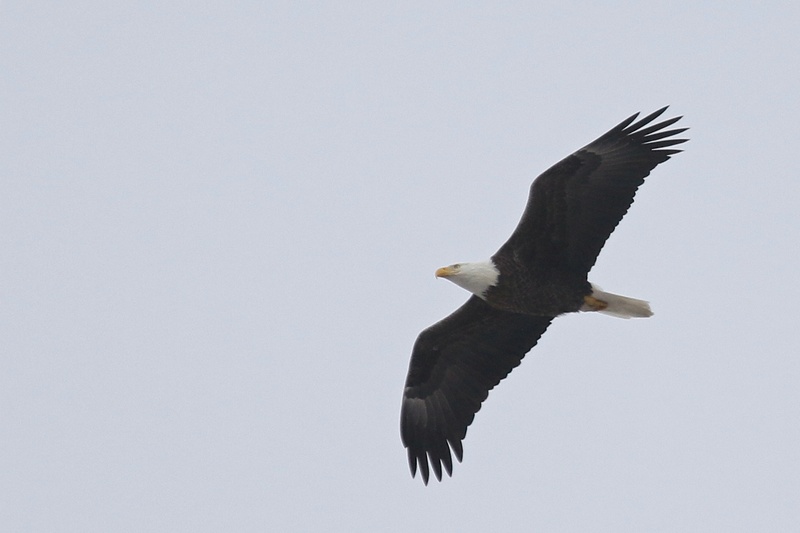 On Sunday I went over to the Hudson to look for Bald Eagles. 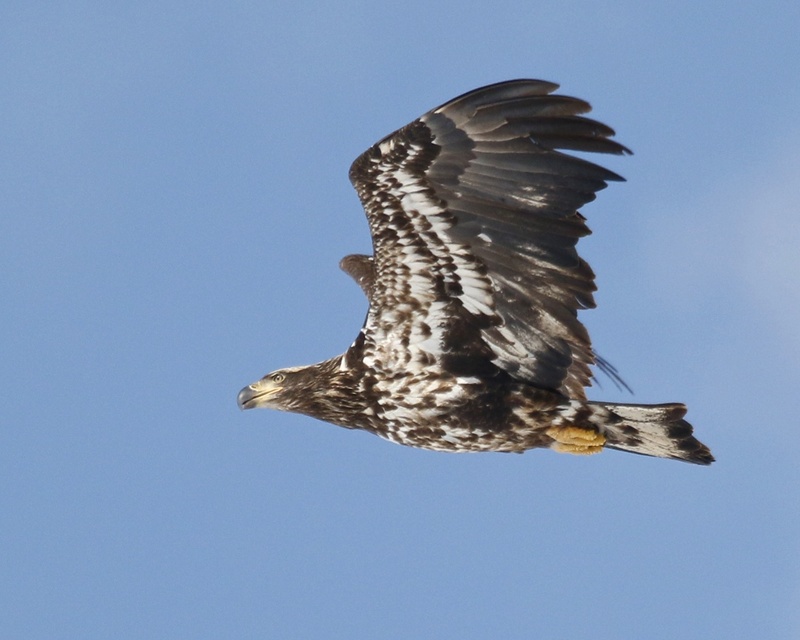 I typically don’t go out of my way for Bald Eagles, but I like to go at least one day in the winter when they congregate at the river. On my way there, I was worried if I had waited too long, it has finally warmed up a bit and I wasn’t sure how successful I would be. 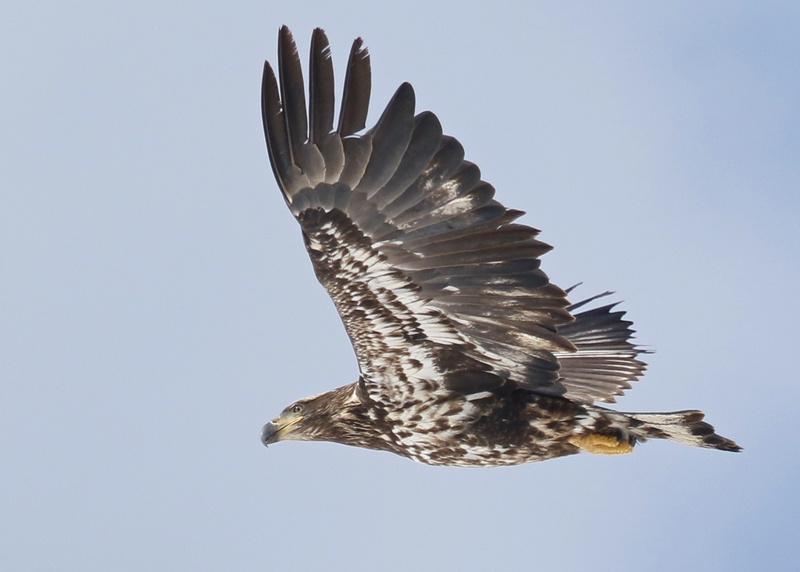 I had a total of 51 Bald Eagles as seen from the following four locations: the scenic overlook off route 9 near Bear Bridge, the Peekskill Metro North Station, Charles Point Pier Park, and Croton Point Park. At the scenic overlook I picked up two more year birds: Wood Duck and Common Raven, and at Croton Point I saw my first two Killdeer of the year. 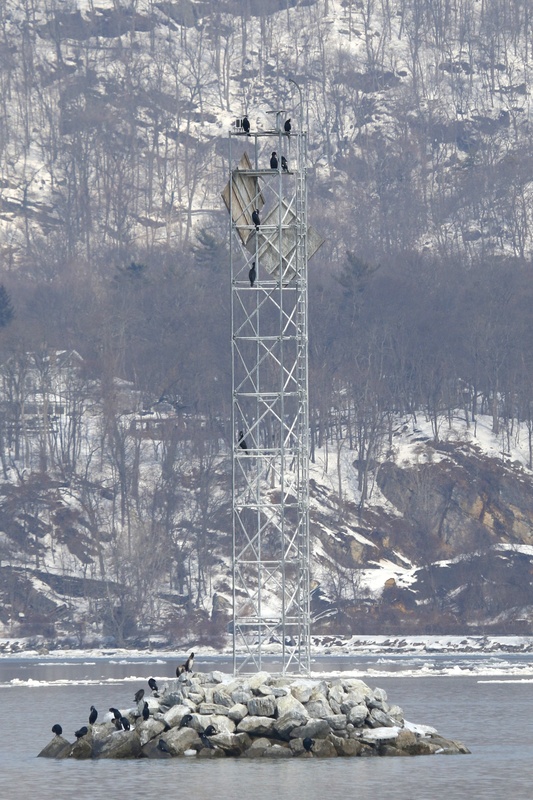 ~Twenty-three Great Cormorants seen from Charles Point Pier Park, 3/8/15.